While retaining walls are typically constructed for a functional purpose to control water drainage and prevent erosion, they can also be a beautiful addition to your property. A natural stone retaining wall can definitely add a touch of glamour to any landscape décor and if constructed with high quality materials will last you a lifetime. Stone retaining walls offer you a sturdy structure as well as unsurpassed beauty for your hardscape design. And, while some landscapers use timbers to construct retaining walls, natural stone supplies a bit more durability as they are not susceptible to rot. 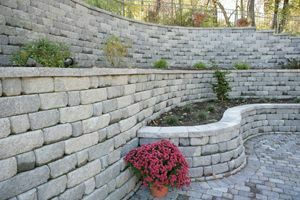 In addition, by using stone for your retaining wall, you can create either a formal or a natural look and add some interesting curvature to the wall as well. So whether you are adding a retaining wall to your residential or commercial property for either function or beauty, we at Alliance Stone want to earn your business for your retaining wall material. 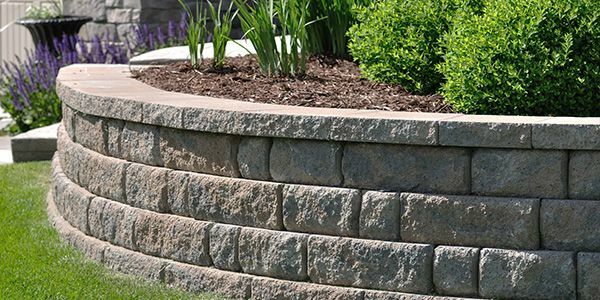 Contact our Atlanta Retaining Walls Stone Company to explore your options.